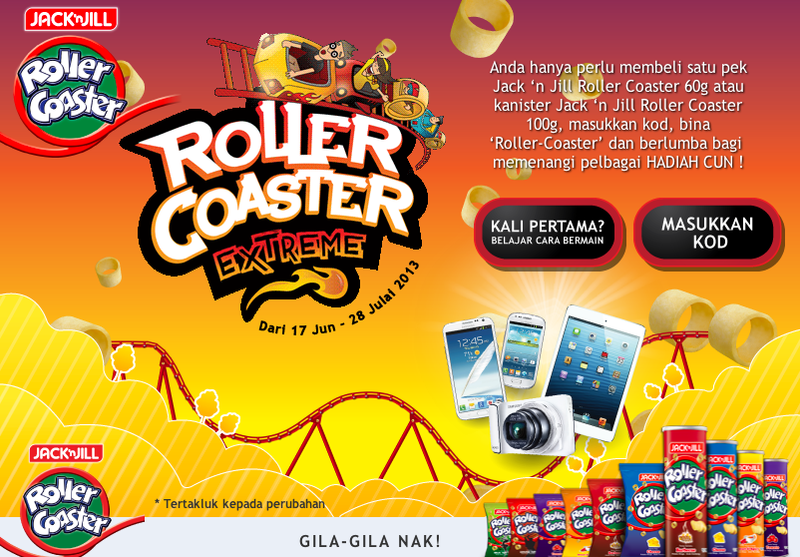 Purchase any Jack ‘n Jill Roller Coaster 60g or canisters 100g to obtain a Code. Key in your code in Roller Coaster Extreme apps to redeem your 'roller coaster' car. Proceed to the garage and build your 'roller coaster' by choosing your Main Car and Body Car from your collection. Click "Jom Berlumba" to begin racing and try to sore the fastest time on the track. Be among the top 10 racers each week to win weekly prizes! 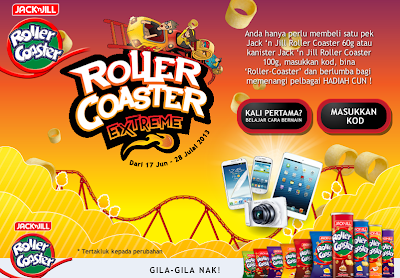 Visit Roller Coaster Facebook fan page for more details.